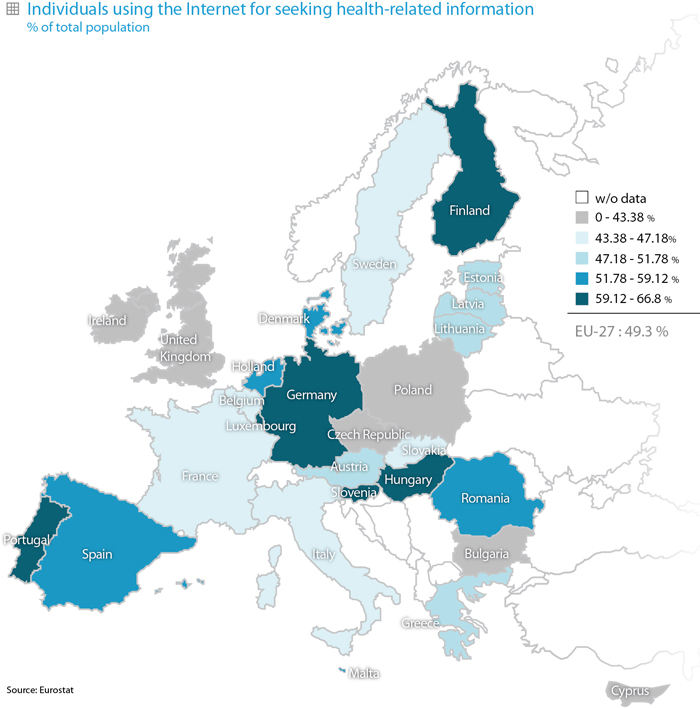 In 2010, 49% of the population in the EU-27 used the Internet for seeking health-related information. Northern European countries like Finland and Luxembourg stand out with values of 67% and 65% respectively, well above the EU-27 average. At the other extreme, there are countries like Bulgaria and the Czech Republic that, with values of 31%, are far below the European average. Spain records a value of 53%, 4 percentage points above the EU-27 average. 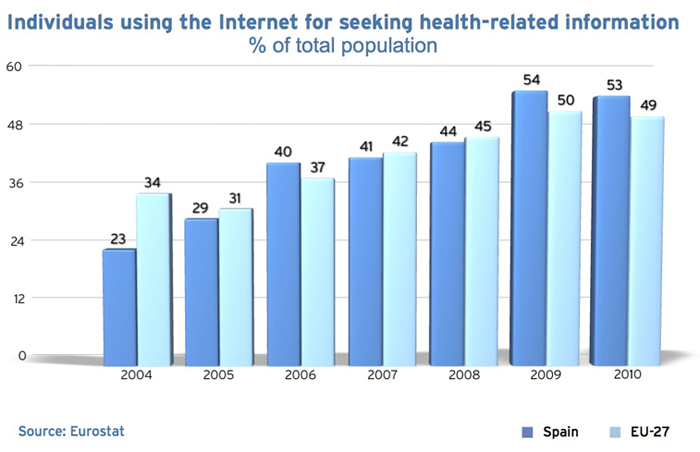 Percentage of individuals who have used the Internet for seeking health-related information for themselves or someone else. Data provided to Eurostat by the competent authorities of the Member States (Eurostat: Statistical Office of the European Communities responsible for providing the European Union with statistical information at European level and promoting the harmonisation of statistical methods across the Member States).